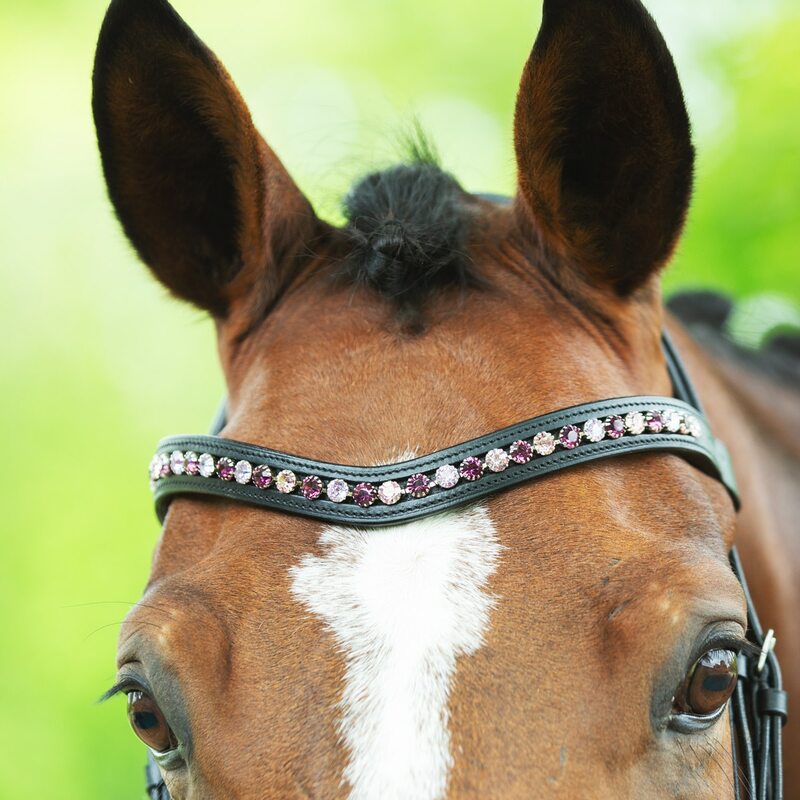 Add a little bling to your bridle with the Harwich® Curved Crystal Browband by SmartPak-Amethyst/Lilac which offers traditional styling and outstanding quality at an amazing value. 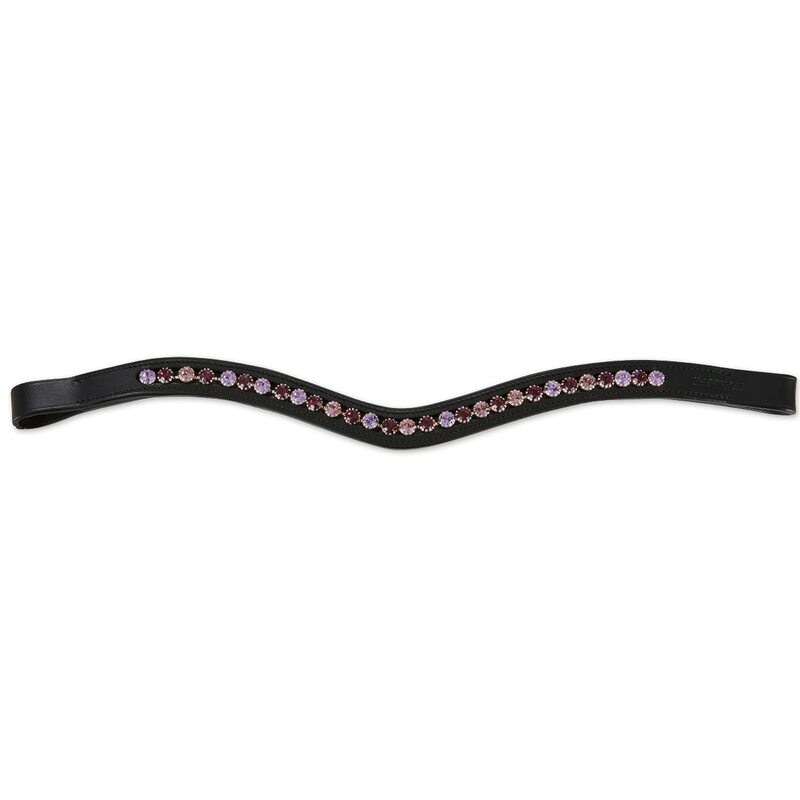 This browband is crafted from durable, supple, vegetable-tanned leather and features a curved design accented with beautiful crystal detailing. Finally, the inlaid crystals are both glued and stitched on for added security and durability.